Putt-Putt and Shopping – Since my injury prevents me from playing real golf, and since I have endured watching some poorly executed tee shots from our deck, I have had the itch to try my hand at golf. Unfortunately, putt-putt is as close as I’ll get for a while. 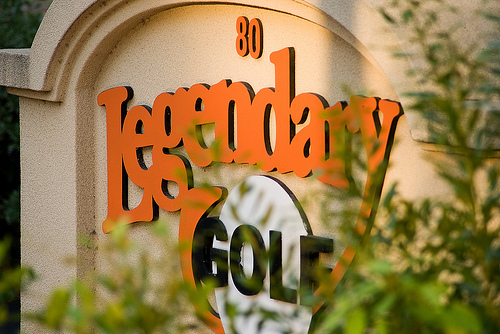 We found a great place on William Hilton Parkway, near our villa called Legendary Golf. This plays unlike any putt-putt course you’ve ever been to. Each hole is set up and contoured just like a miniature golf hole. There are bunkers, water hazards, roughs, and flags at each hole. The total price for our family was $34.00, but worth every penny. Interestingly enough, each tee included a scripture about the gospel; very inspirational, educational, and recreational all in one. This will likely become one of our Hilton Head Haunts when we return. 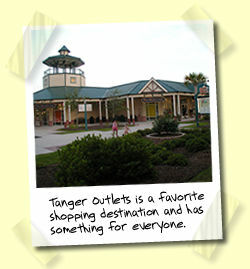 Outlets – There are several outlets in Hilton Head, two of which are Tanger Outlets and the kids love going to them as do we. We didn’t spend a lot of money, but enjoyed walking around looking for bargains. Nate and I bought a pair of tennis shoes at the Famous Footwear Shoe Outlet, located at Hilton Head Village 1460 Fording Island Road, Suite 240, Bluffton, SC 29910 Phone: (843) 836-3304. I bought a pair of K-Swiss for me and a pair of Hurley’s for Nate. Our bill came to $60 for 2 pair of designer shoes. My shoes are so comfortable to walk in, even with the brace and my support sock. My Reading Material – The Innocent Man by John Grisham – There was a lot of leisure time being at the villa so I took advantage of that by reading a book by John Grisham called the Innocent Man, which is a true story about a small town police force and small-time prosecuting attorney in Ada, Oklahoma, that wrongfully brought about the conviction of several innocent men, one of which was sentenced to die by lethal injection. This was a superbly written novel, that reads more like fiction and the reader will be amazed at how corrupt the judicial system can be. If you’re a supporter of the death penalty, this will make you second guess your logic. Shipyard Plantation – Galleon Golf Course – My favorite place to read was on the deck in view of the 6th hole of our resort’s Galleon Golf Course location in the Shipyard Plantation. Here is a VIDEO of a flyover of the golf course. Interestingly enough, there were several botched tee shots that found there way on the very deck I was reading on, many others hit some of the homes across the fairway from us as well. Be very careful when reading or enjoying time on the deck. If you hear the tee shot, be watching for the ball! The Weather – The weather was forecasted to be thunderstorms everyday. We ran into some weather off and on, but nothing that took away from our trip. One night the thunder and lightening was deafening, unlike any I had ever experienced. The next day, there were tree limbs and such blown in the roadway and bike paths, but all in all, it sounded much worse than it was. There is a tropical storm (later turned hurricane) in the middle of the Atlantic called Bertha that is causing a bit of a raucous with the beaches, but nothing that prevented us from enjoying the water. 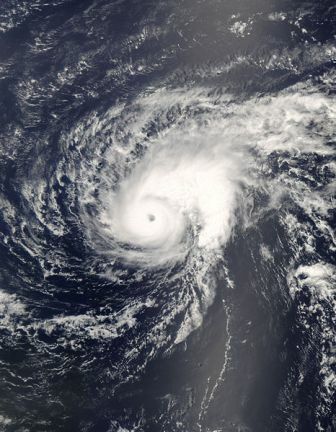 The waves were a little more rough and the weather man warned against rip currents that actually were blamed for 3 deaths on the New Jersey Coastline.